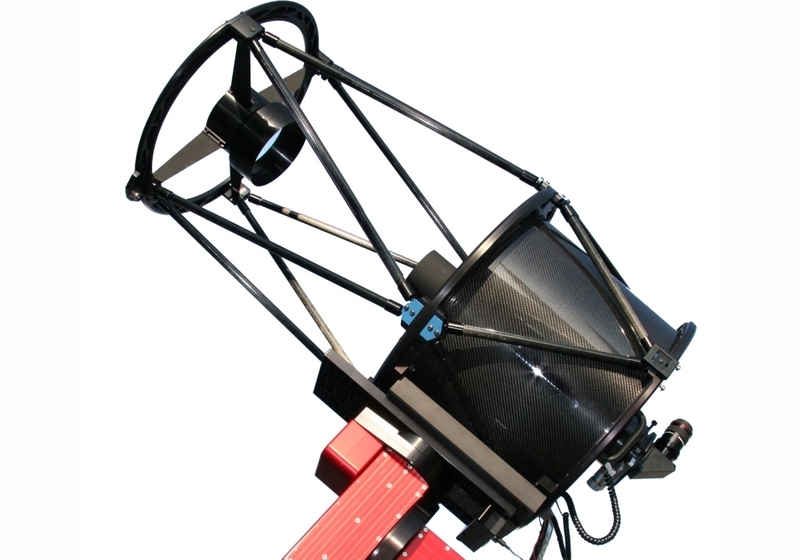 The PlaneWave Instruments RC20 is a 20 inch (508mm) f/6.8 Ritchey-Chrétien (RC) telescope. The RC20 has a dual carbon-fiber truss design, with 3 cooling fans ejecting air from the back of the telescope. The instrument weight is 140 lbs (64 kg) and comes standard with a back plate retaining ring ready to accept the focuser of your choice.